How would your life change if you committed to meeting with God everyday? The writer of Hebrews tells us the Word of God “is living and active and sharper than any two-edged sword, and piercing as far as the division of soul and spirit, of both joints and marrow, and able to judge the thoughts and intentions of the heart” (Hebrews 4:12). God’s Word is power. God watches over His Word to perform it (Jeremiah 1:12). His Word is His plan, and His plan is something He makes happen. And so He promises, “So will My Word be which goes forth from My mouth; it will not return to Me empty, without accomplishing what I desire, and without succeeding in the matter for which I sent it” (Isaiah 55:11). God’s Word never fails! 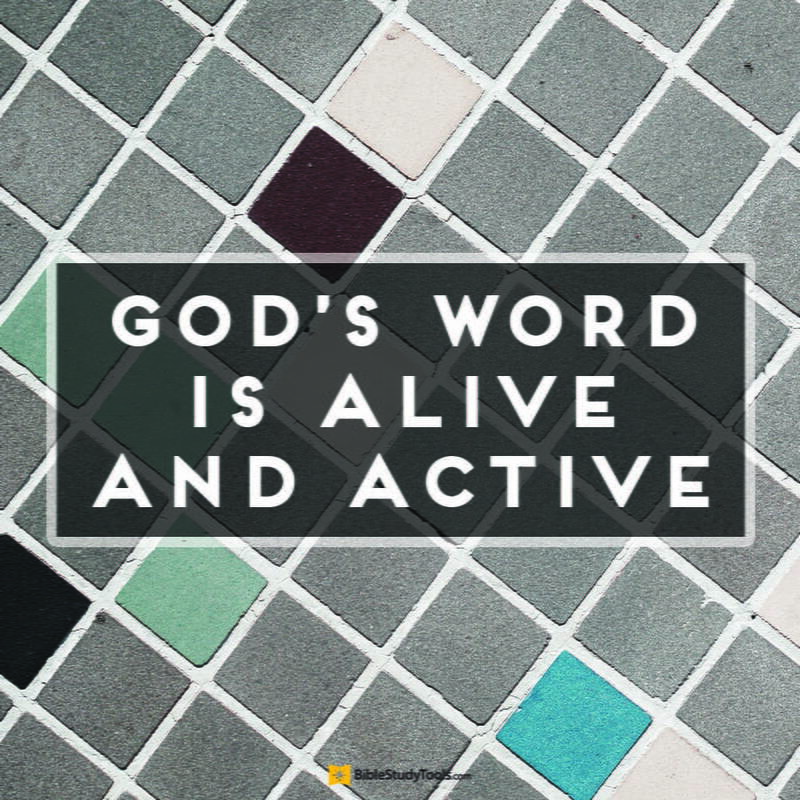 The writer of Hebrews says the Word is “active” (energes: energy, power, Hebrews 4:12). According to 2 Timothy 3:16, God’s words are “God breathed” — not in-spired, meaning some kind of vague power or ghost breathed into man’s preexisting words, but literally breathed or spirited out of the mouth of God. So these words did not originate in the will of man, but holy men of God spoke as they were moved by the Holy Spirit (2 Peter 1:21). The Word sanctifies (purifies, cleanses) — “profitable for teaching, for reproof, for correction, for training in righteousness; so that the man of God may be adequate, equipped for every good work” (2 Timothy 3:16-17). No wonder the apostles gave themselves to undistracted prayer and the Word of God (Acts 6:4). Take time this month to read Psalms 119and mark every occurrence of word and its synonyms. You’ll see the truth, power, life, and treasure aspects of God’s Word shine forth. It’s a lamp for our feet, a restraint on our sin, a sustainer, a comforter, a reviver; it’s wisdom in our mouth for answering those who reproach us. Just think, Beloved, what would happen if we breathed the Word, lived it, and proclaimed it when we were jostled, stabbed, or shot at by the world. It would make a lasting difference, a difference that can stem our nation’s Word crisis! Editor's note: this content came from this original article: The Power to Change.